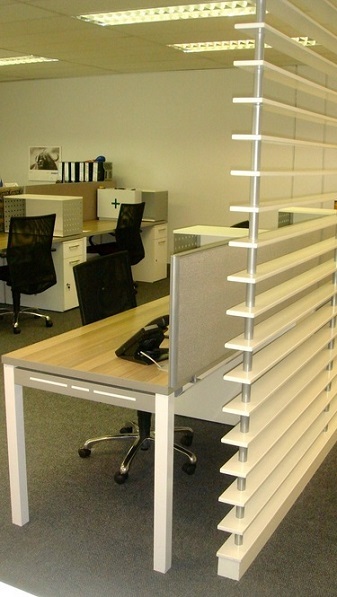 Slatted screen partitions act as room dividers creating a flexible modern working environment and provide an affordable solution for dividing open office space. 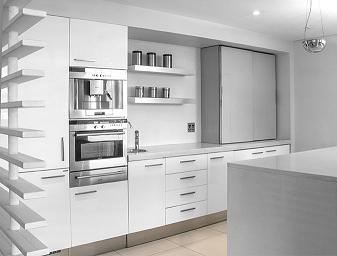 We also stock screens with rotating slats and Venetian blind designs for more privacy which also enable you to control heat and light in the room. 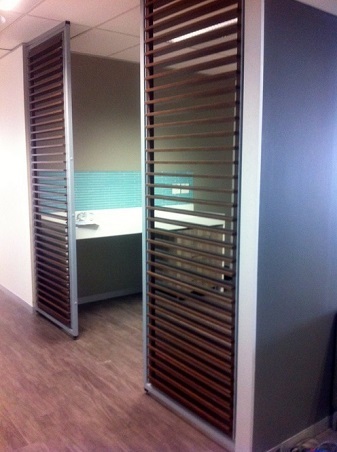 All partition systems come in wide variety of colour and materials and can be custom manufactured to suit your office space. 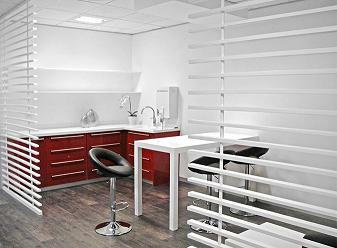 Free standing screen panels or portable partitioning for offices allow you to create a customizable area that can be changed accordingly to workspace needed. 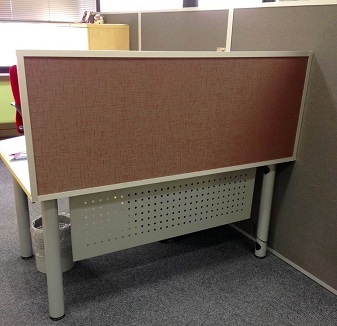 Desk based screens are an elegant and creative solution for screening desks in an open office environment and can be upholstered in varies fabrics. 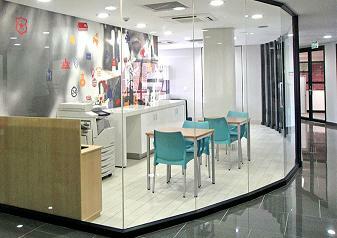 All screening and partitioning systems are available in varies designs and finishes. 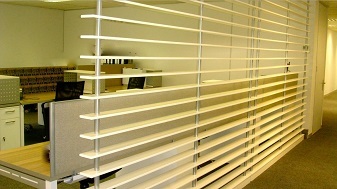 We also supply glass and slatted partitioning. 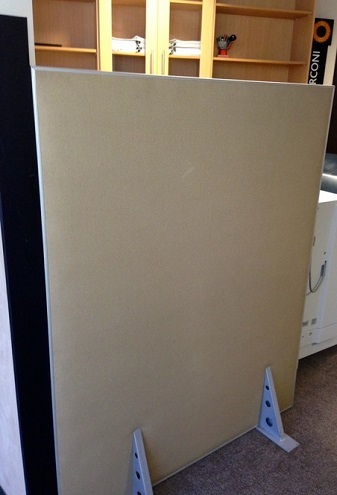 The free standing screen panels can be custom made and do come in a wide variety of colours and materials to suite your application and office environment. 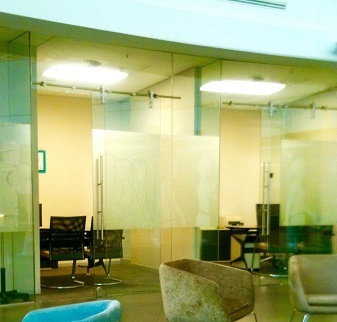 Glass partitioning is not only aesthetically pleasing but also separates workspace without restricting the flow of light and divides rooms, in the process creating additional office space and privacy. Our glass partitioning systems are available (as below image) producing a frame-less, soundproof appearance and are made from safety glass. 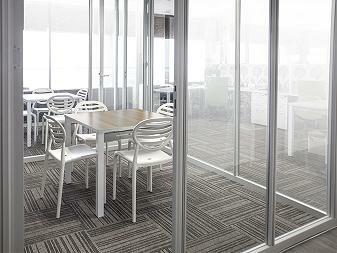 And are the perfect solution for cubicles, meeting areas as well as copy booths and canteen areas. 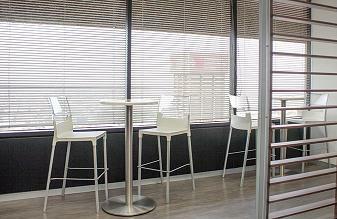 Whether you require clear or half glazed partitioning systems, our team of interior designers from Johannesburg will be more than willing to accommodate your needs. 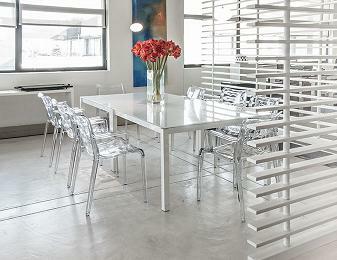 Our lines are open 5 days a week during office hours for orders, queries and advice.